Search Engine Optimization can be a very tricky task but with over a decade of experience, we can provide the best practices in implementing marketing strategy to help SEO efforts. People use the Internet for research, commerce, entertainment, and everyday life. In order to provide an excellent online experience, you need a versatile website that can build online traffic. The function of Search Engine Optimization (SEO) practices is to help search engines to find, index and rank your pages accordingly. 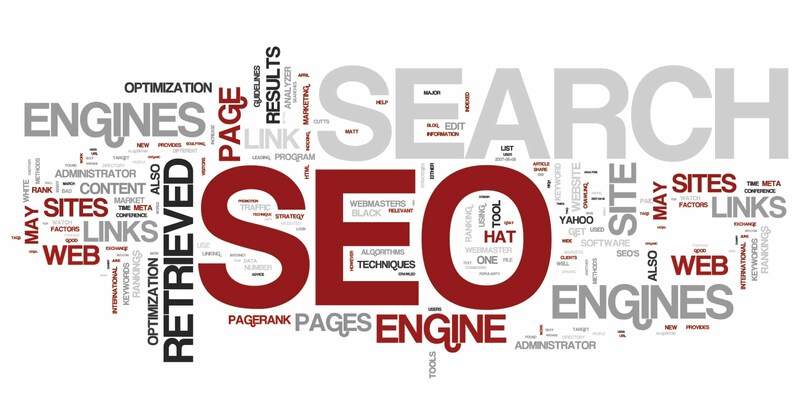 With the use of original designs and proprietary coding techniques, we are able to build a strong SEO format for our clients. Good SEO planning can make a huge difference when it comes to search result ranking. We will provide various options when it comes to incorporating these tactics into your website design. Some of the tasks you can easily perform yourself and with a help of your team members where with some elements of the SEO you would need help from experts in the field. We will help you come up with a strategy and guide you through execution from beginning to end. Coding pages that are search engine optimized is our number one priority, but that is not where it stops, fresh content, legit backlinks and quality content is just few of the elements that needs to be built over time. That is why strategy needs to be developed first. So that your company can have a clear understanding of the projections and search result improvements that would happen in the future. After that is all about conversion. We train you and your staff to manage and maintain your website properties. Over the course of time with our various projects, we have helped our clients to focus on controlling their own systems. This allows the client to have greater control over the sites content, keeping the content fresh, engaging and very interactive. We design our sites to be user friendly and to offer smooth navigation. Creating pages that would help you with online conversions and funnel visitors through the pages specifically designed to convert visitors in to buyers is 2nd step in on-page optimization. Our experience in the field of online content and site management has made us experts when it comes to content strategies. With open source programming such as WordPress, Drupal, Joomla and various eCommerce formats, we are able to develop dynamic sites that can offer the user interaction and exceptional user experiences. Our web professionals design sites that usually enhance an organizations online marketing format as well as create a strong online presence that continuously builds audience by implementing proven search engine optimization strategies. The web site must be balance between usability and artistry as well as incorporate a new vision of the online arena for the client points of action. With the use of mobile Internet devices, new online frontiers have been created. With special interfacing, we help organizations to keep their mobile browsing user friendly and optimized. Mobile dominance with online markets can determine how much exposure a website will achieve. With the use of special features and design, our professionals can develop well established mobile SEO strategies and superior online content.